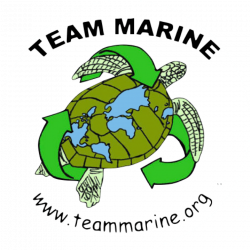 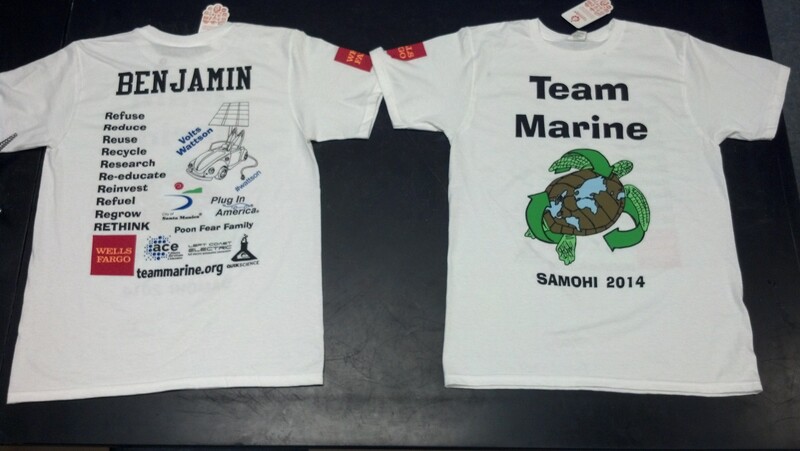 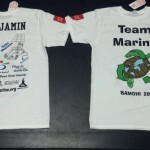 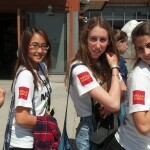 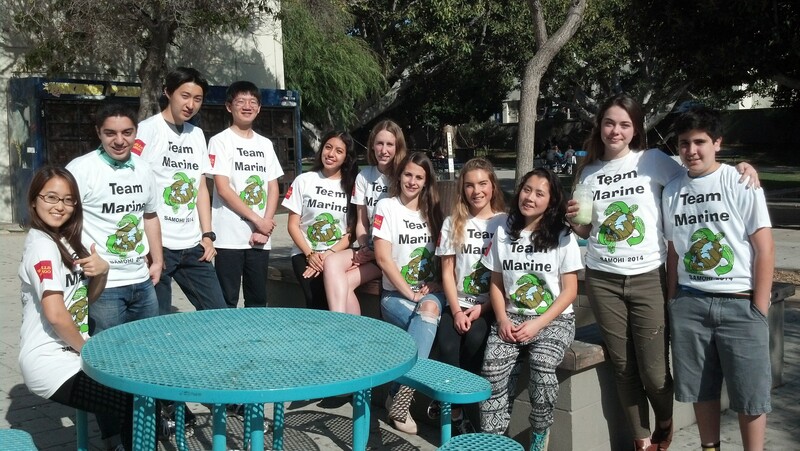 The beginning of a very intense eco-filled weekend began with Team Marine at an international youth summit this past Saturday and Sunday. 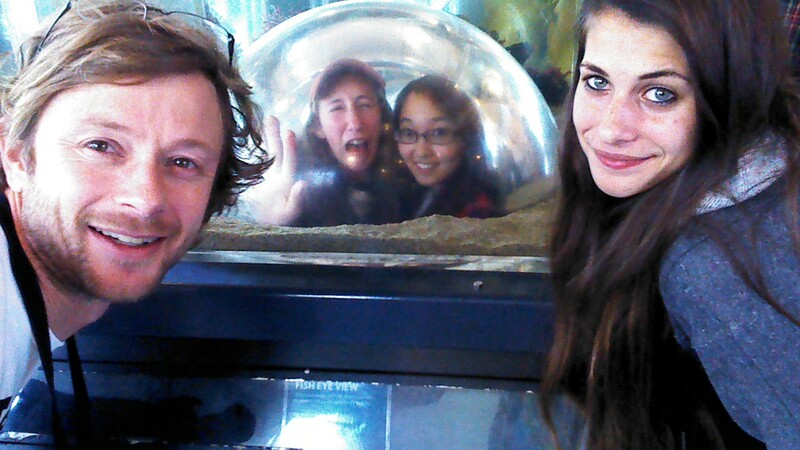 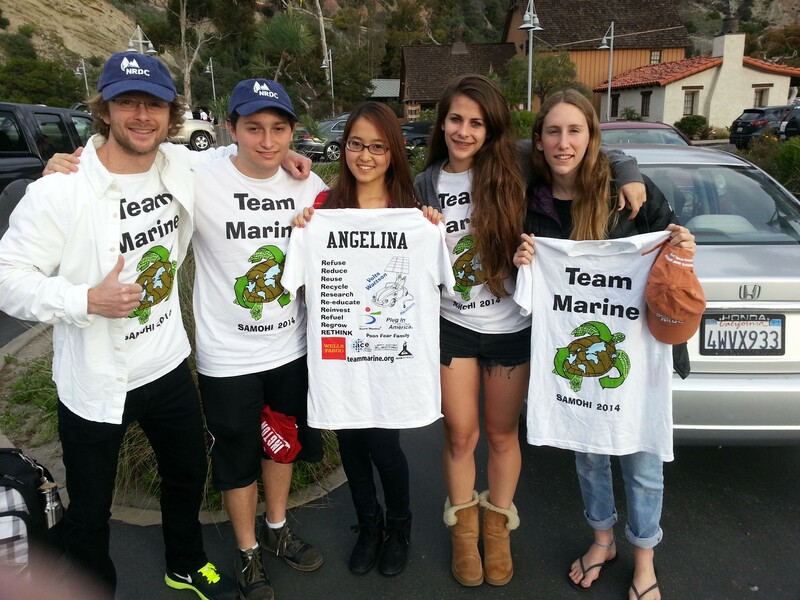 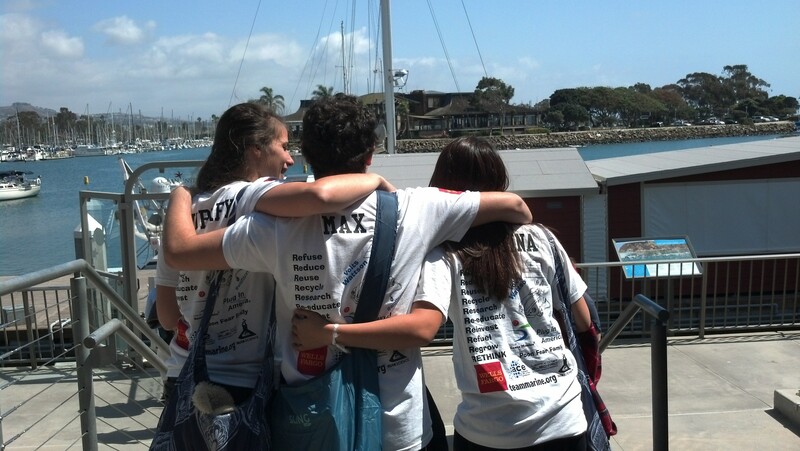 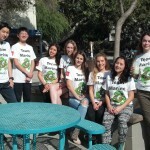 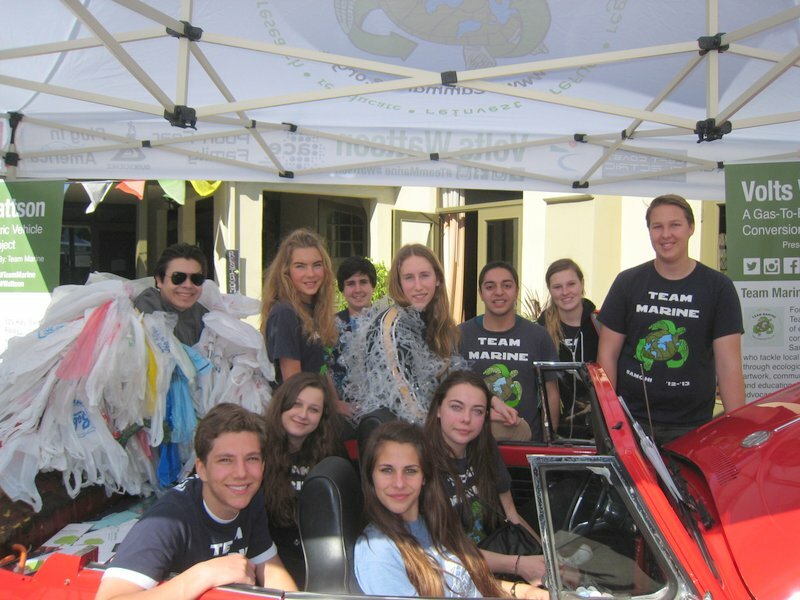 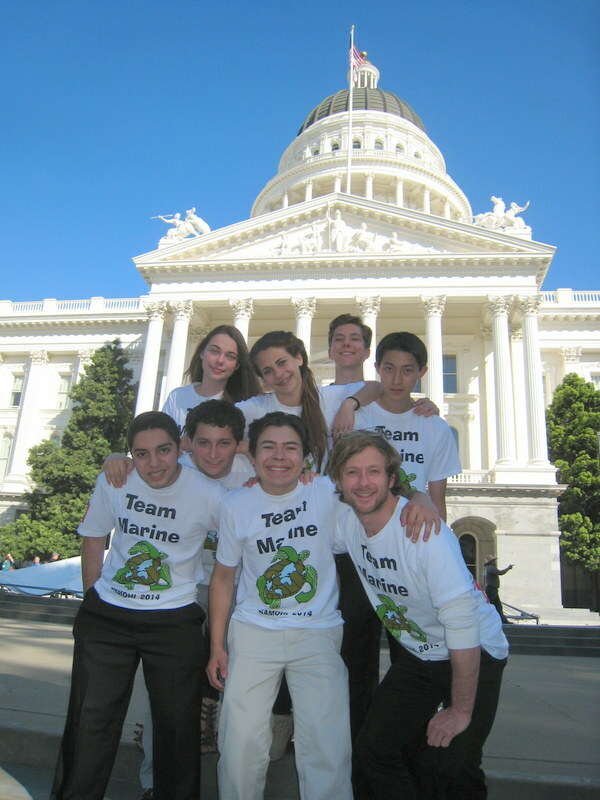 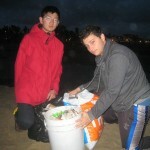 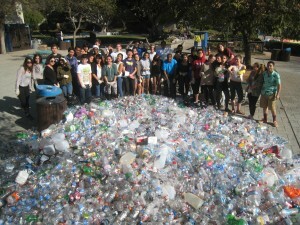 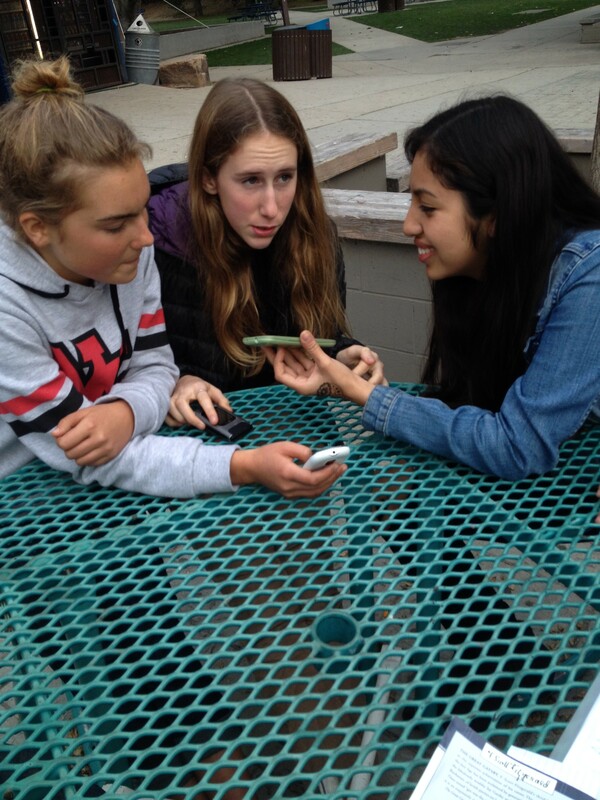 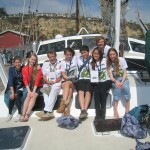 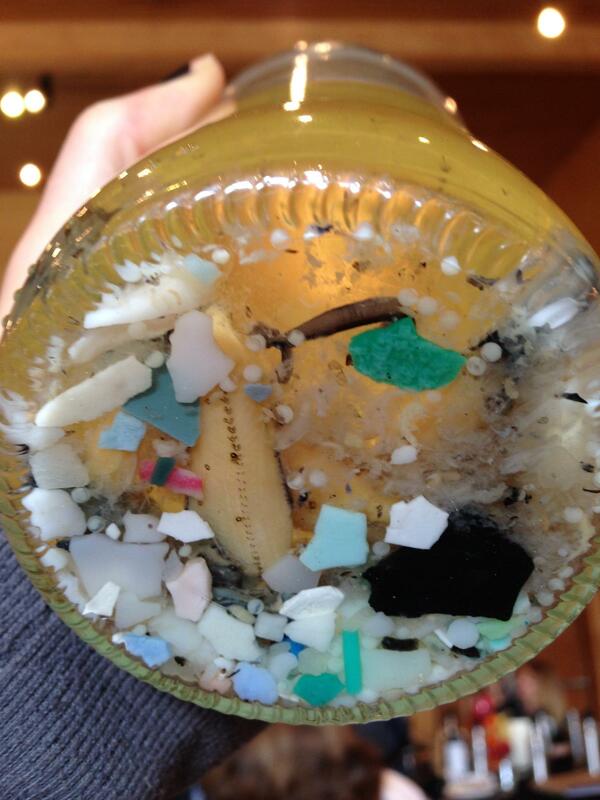 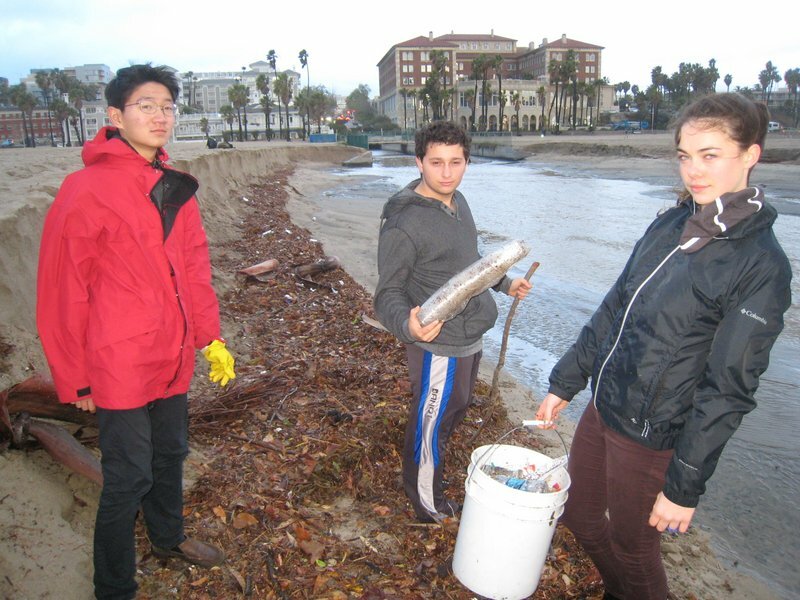 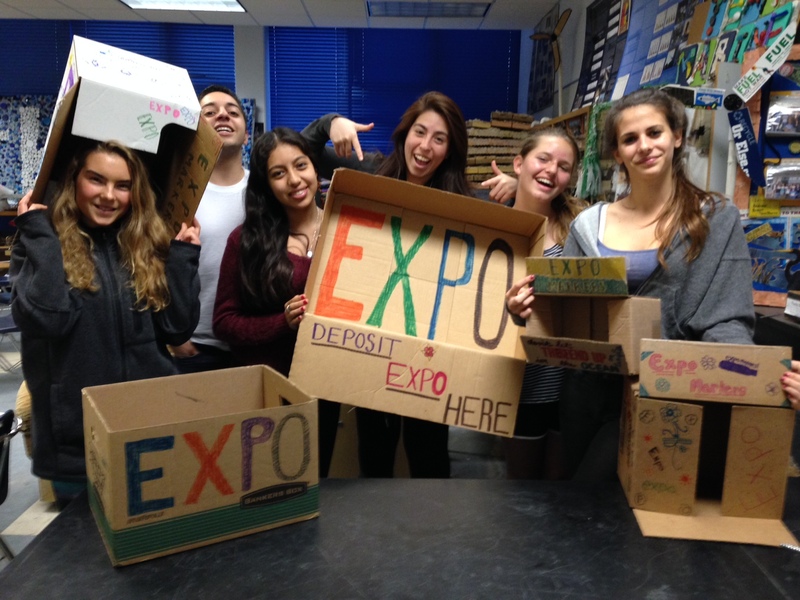 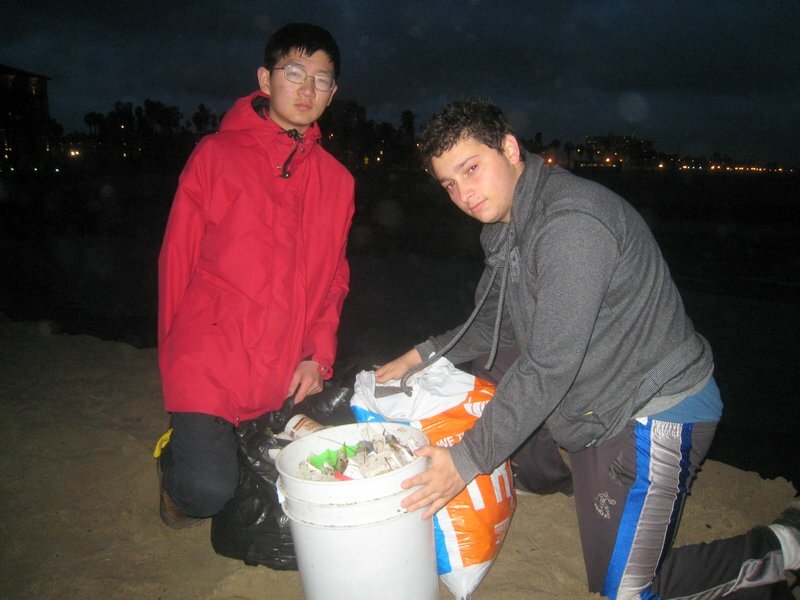 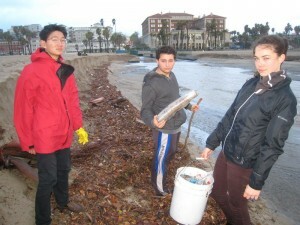 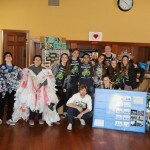 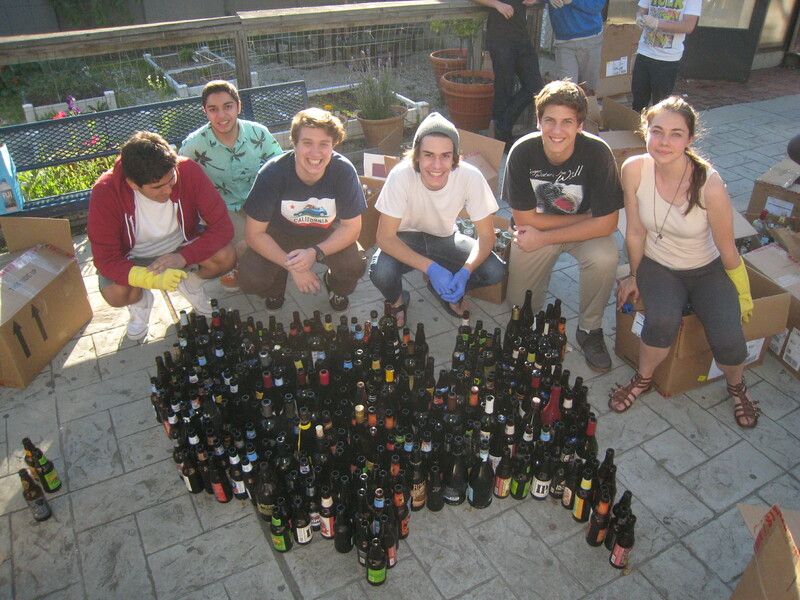 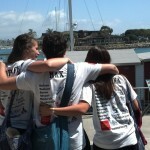 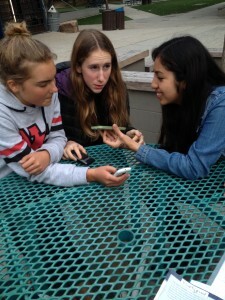 We applied and were accepted into the Plastic Ocean Pollution Solutions International Youth Summit 2014 in Dana Point sponsored by the Algalita Marine Research Foundation. 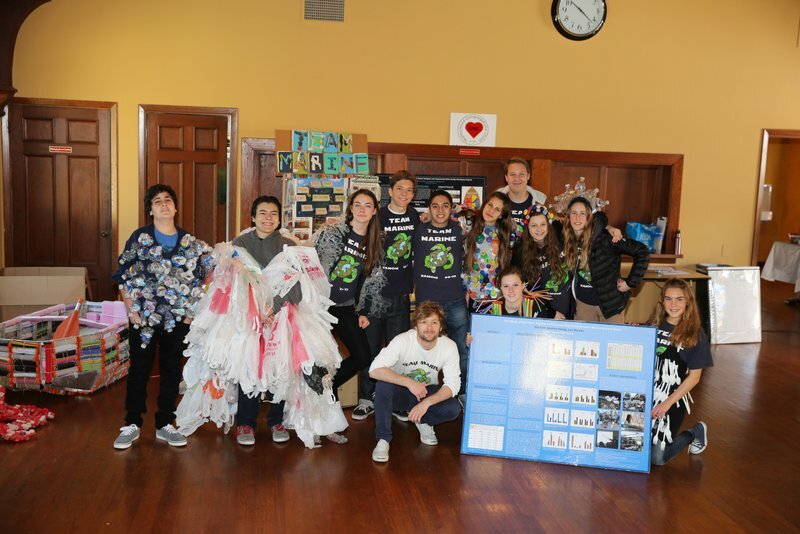 We arrived at the Ocean Institute around 8:00am and participated in workshops that included learning about plastic pollution and spreading awareness. 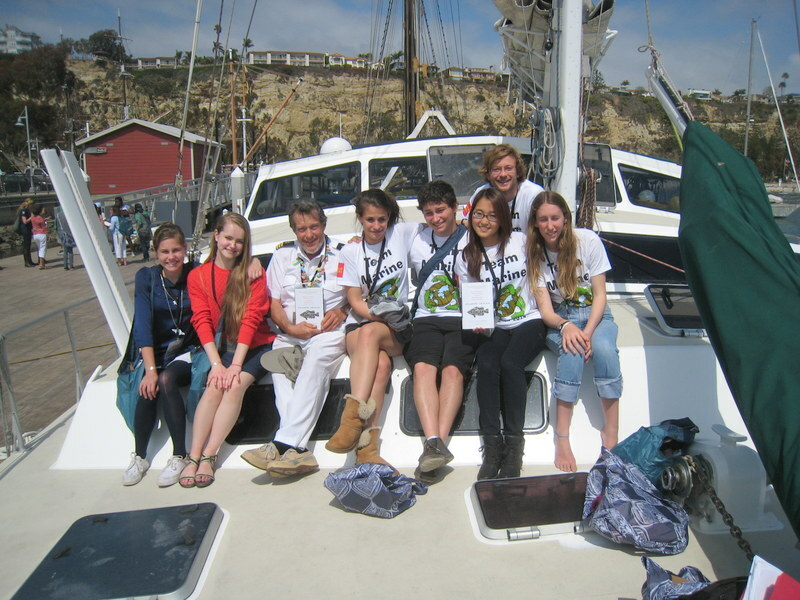 We met the famous Captain Charles Moore, the man who discovered the plastic soup in the North Pacific gyre and toured his custom-made research vessel, The Alguita. 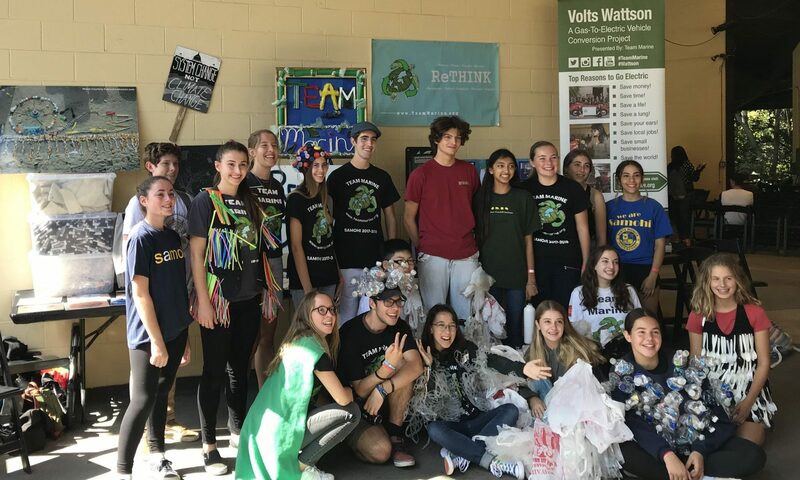 We learned from very well spoken scientists and eco-activists, such as Jordan Howard, Captain Charles Moore, Rocky Beach, Danni Washington, J. Nichols, and Kristal Ambrose, who spoke about the issue of plastic pollution. 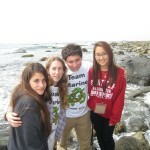 After this full day of eco-education, we stayed at the hotel a couple blocks from the ocean institute. 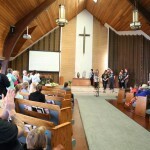 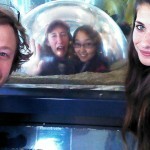 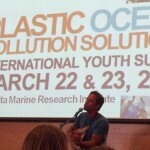 Sunday, we were back at The Ocean Institute for another fun schedule of speakers and activities early in the morning. 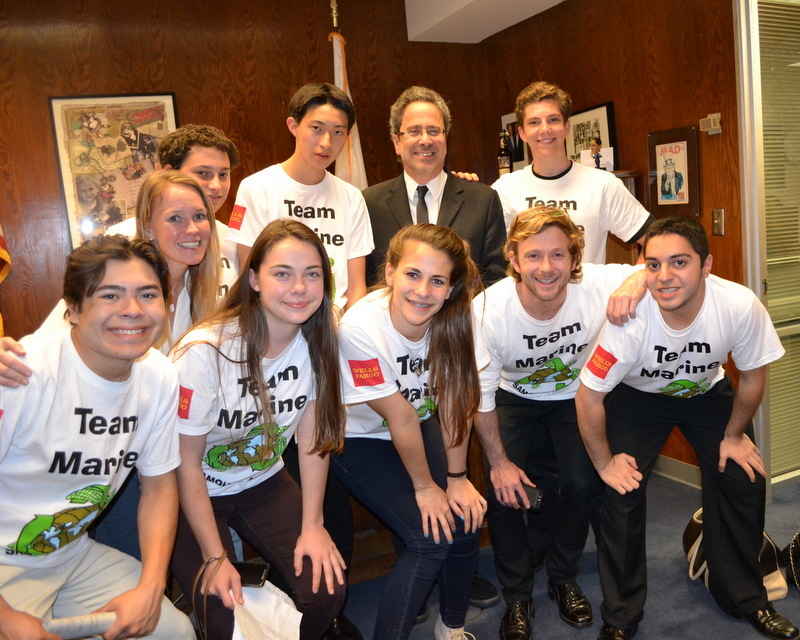 After practicing, we presented a proposal of removing single-use plastic water bottles from Santa Monica. 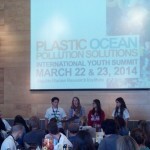 We were very honored to listen to Anna Cummins from the 5 Gyres Institute give an insightful presentation. 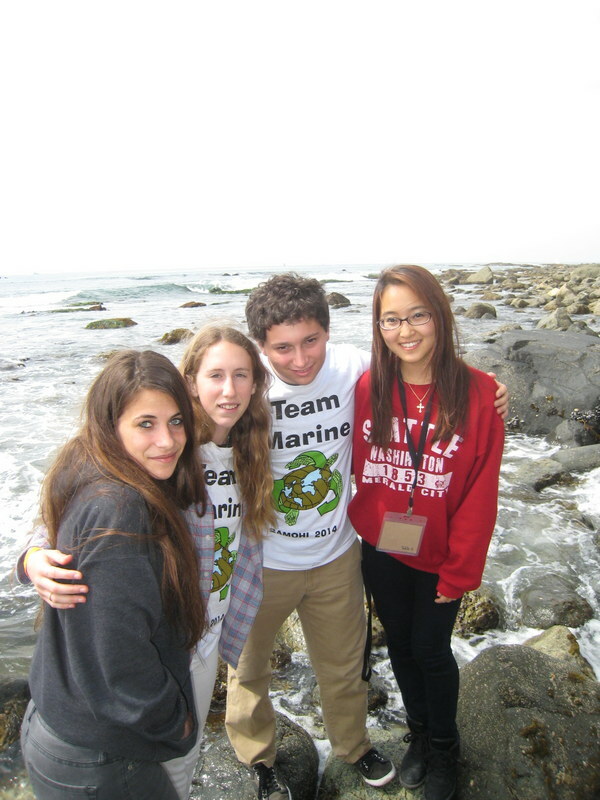 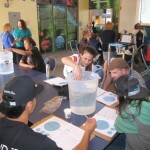 In addition, we also did a lot of fun activities like tide pooling and learning different sea anemones and macroalgae. 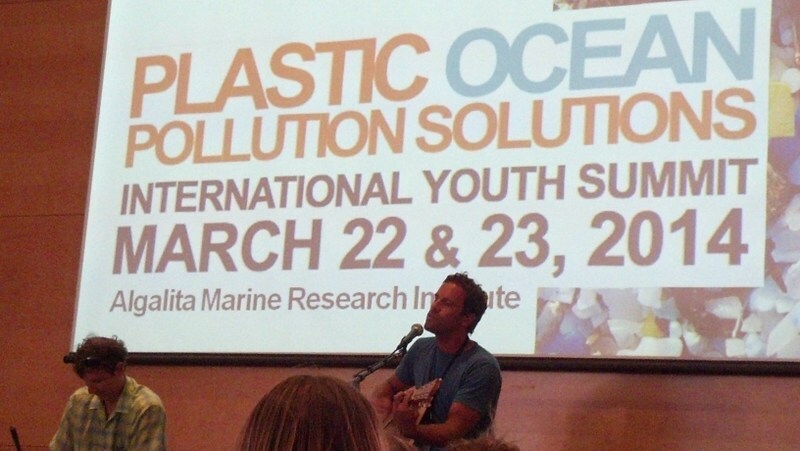 There was also a pool party and a special guest performer, Jack Johnson, with whom we discussed plastic pollution before the show. 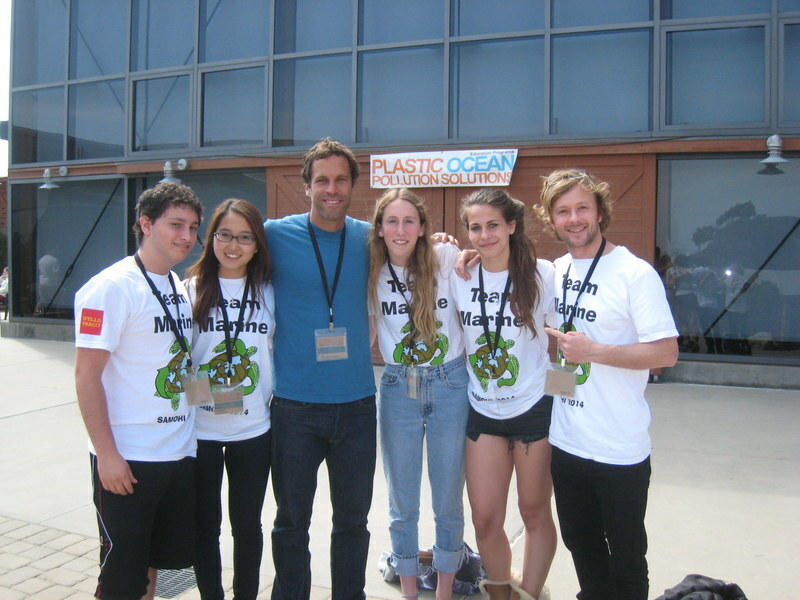 We were very impressed with Kim and Jack Johnson’s environmental organization called The Kōkua Hawai‘i Foundation ,which provides the youth with sustainability focused education in Hawaii. 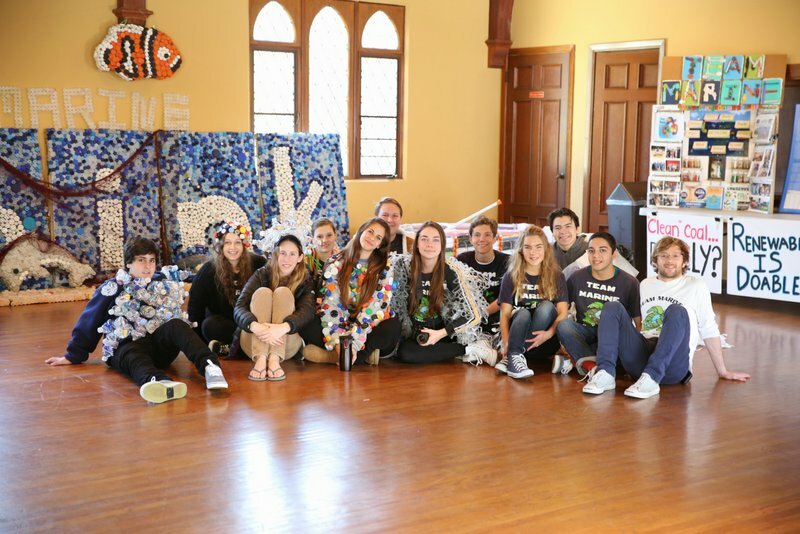 This youth summit was an amazing experience and we are very happy to have attended and met other youth like ourselves from all over the world. 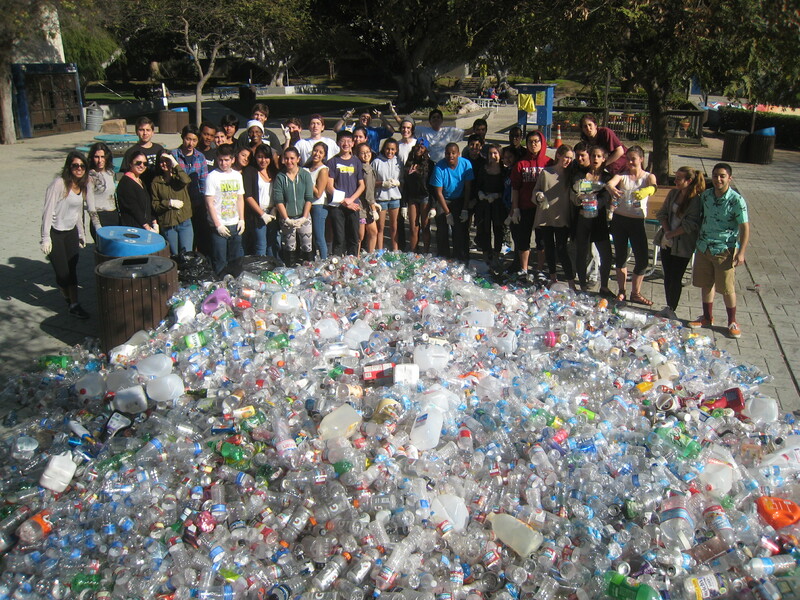 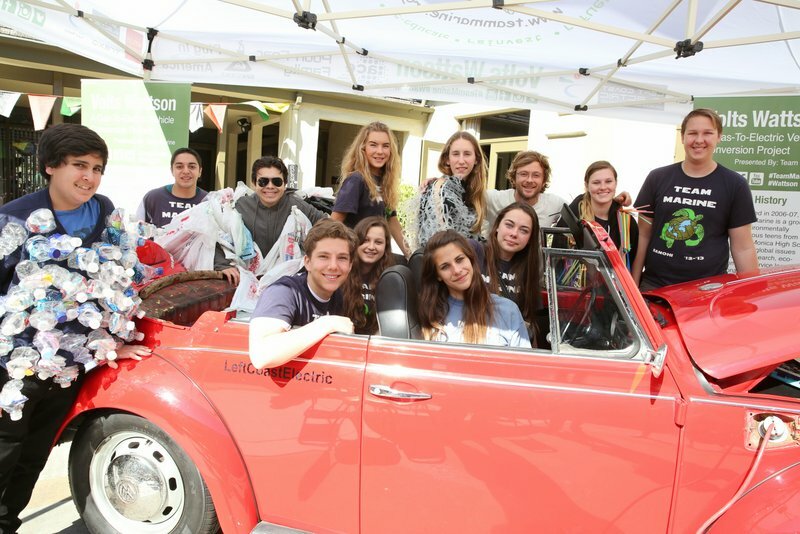 Thank you to the other environmentally committed students who attended this event with us and work hard for a better plastic free world. Thank you Katie Allen for coordinating this event and making it possible. Another thanks to the Algalita staff for selecting us out of many competitive international students interested in this summit. 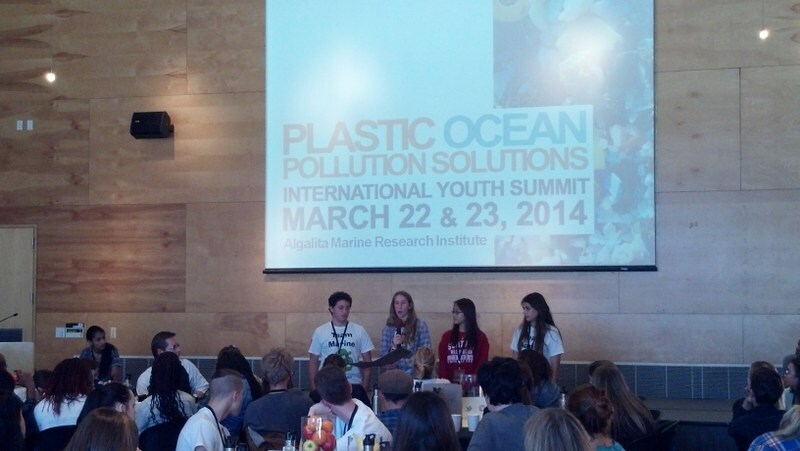 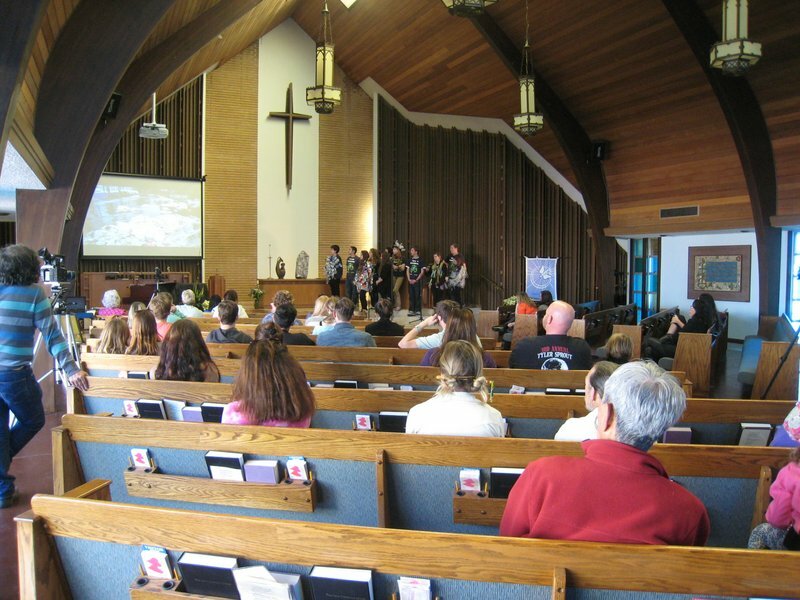 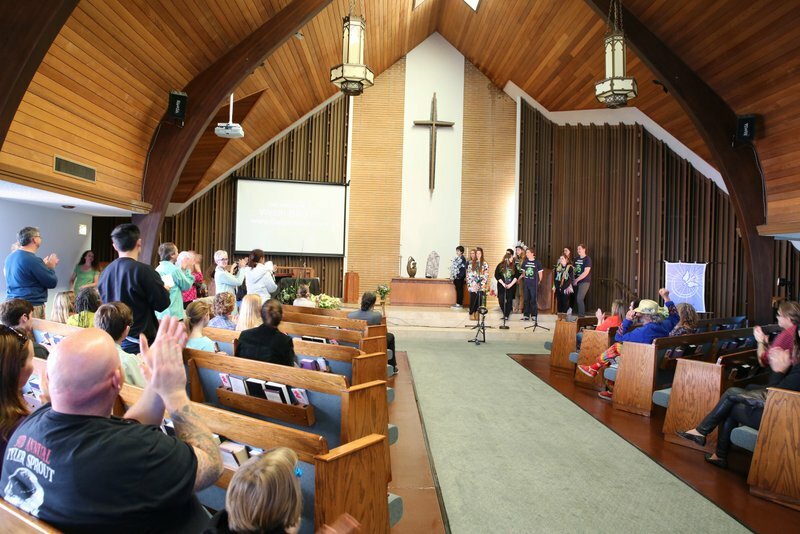 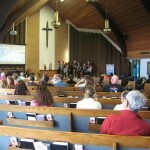 On Saturday, February 8th, we were invited to Laguna Beach to panel and present to the community and local schools. 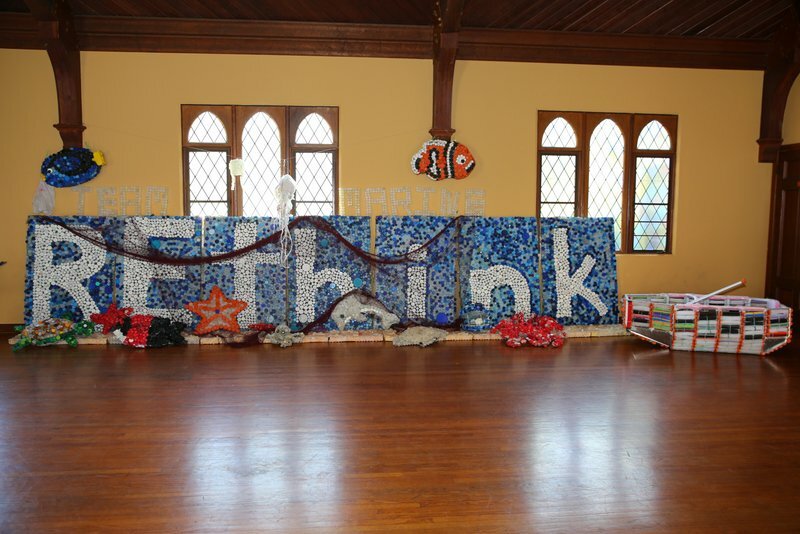 We displayed our bottle cap and single-use-plastic eco-artwork. 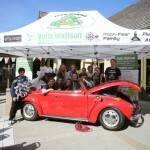 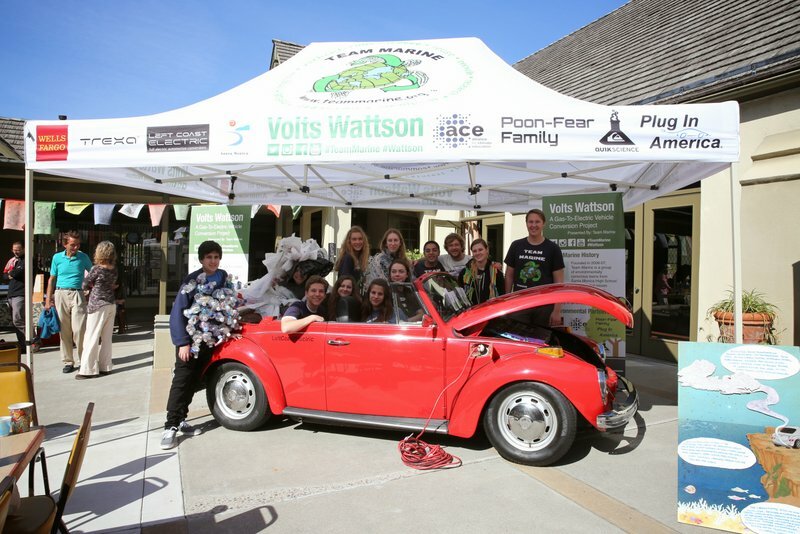 We also drove our recently converted all-electric vehicle “Volts Wattson”. 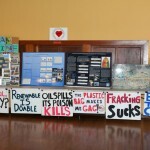 While presenting with Generation Waking Up, the team was able to convey the science, effects, and solutions to climate change. 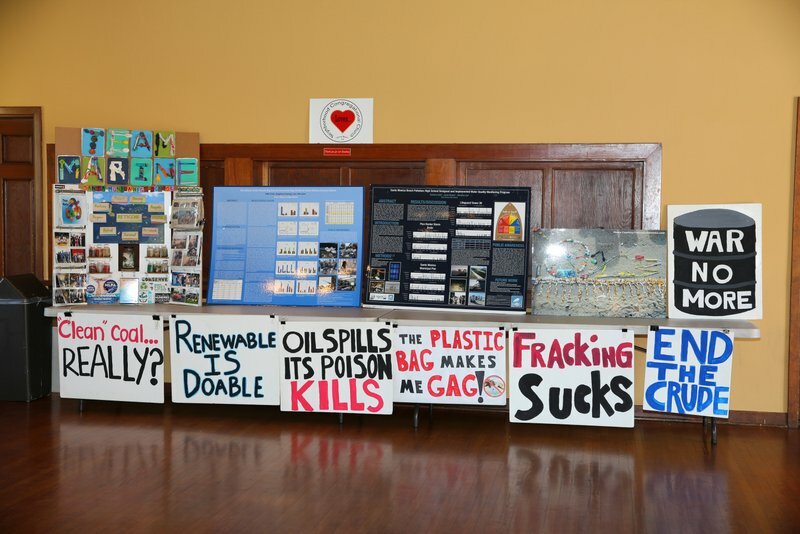 Generation Waking Up also had a very interesting presentation that included the severity of water pollution and the scarcity clean of water. 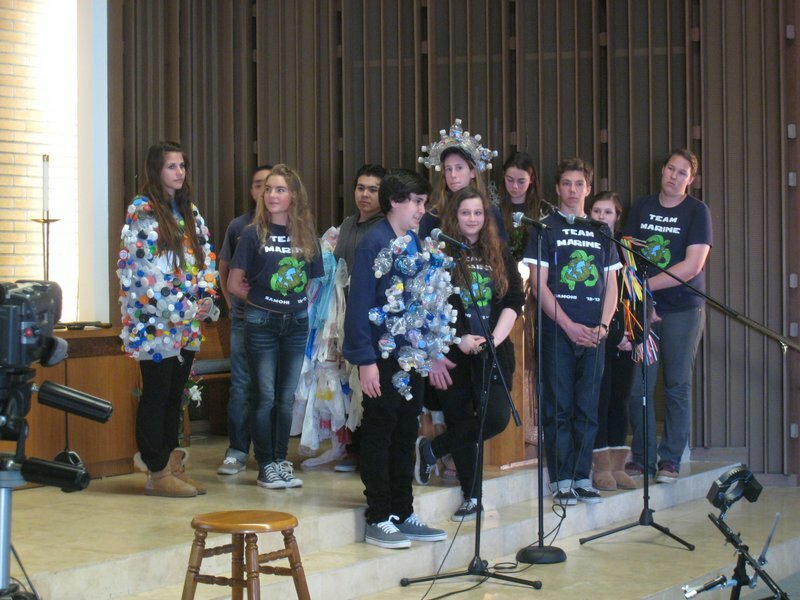 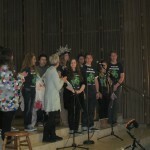 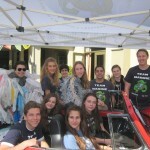 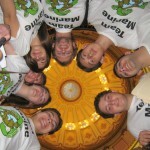 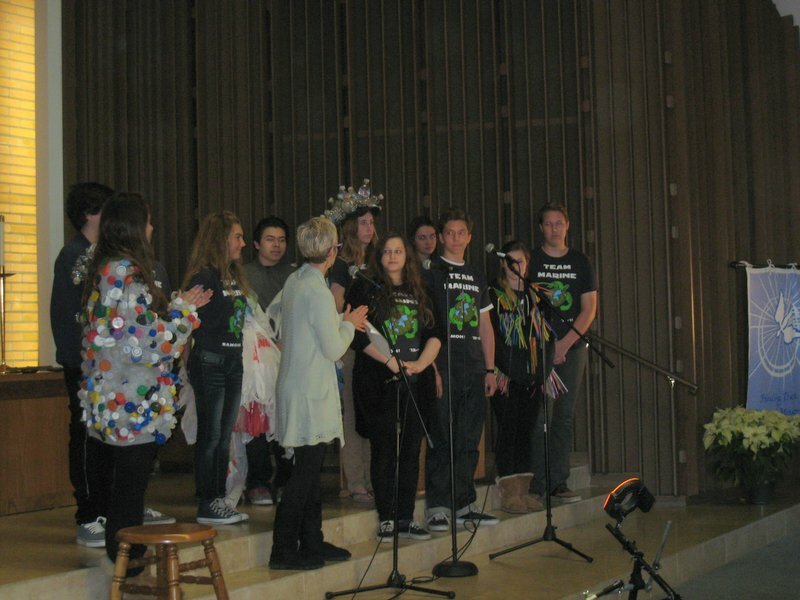 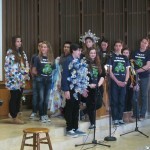 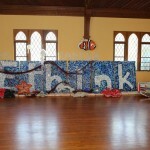 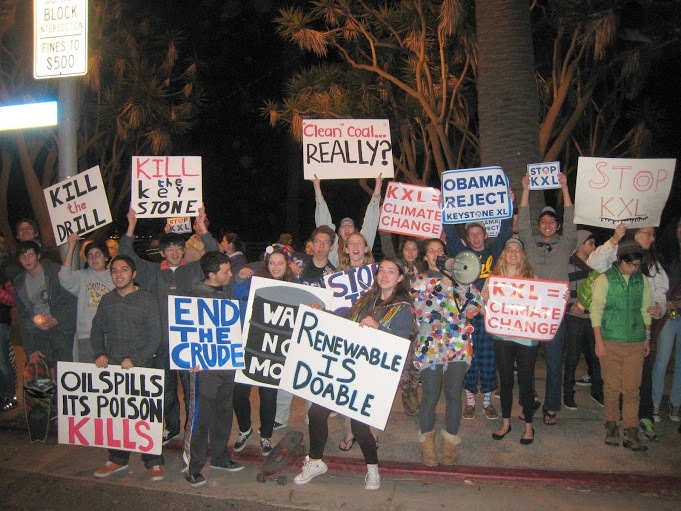 This event was critical in expanding eco-activism and outreach to other neighboring communities. 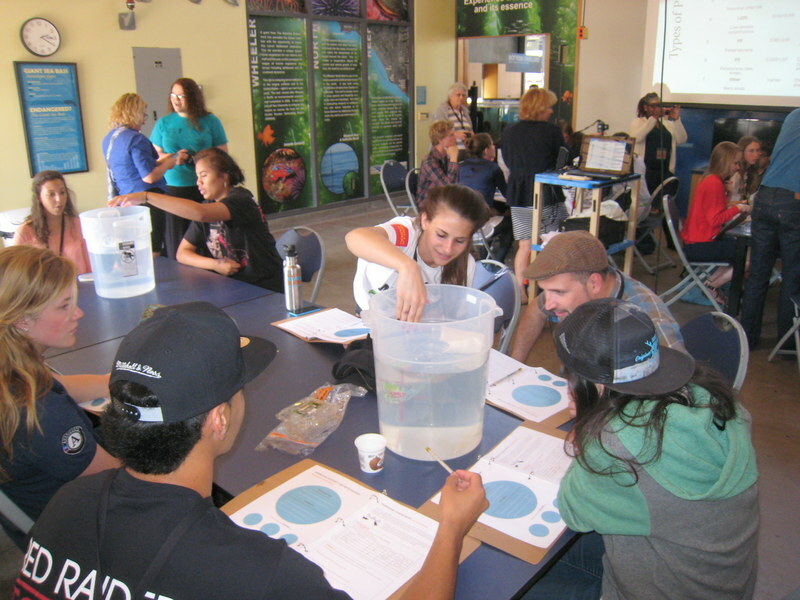 The kids and people of the Laguna community were intrigued with our presentation explaining the science of climate change. 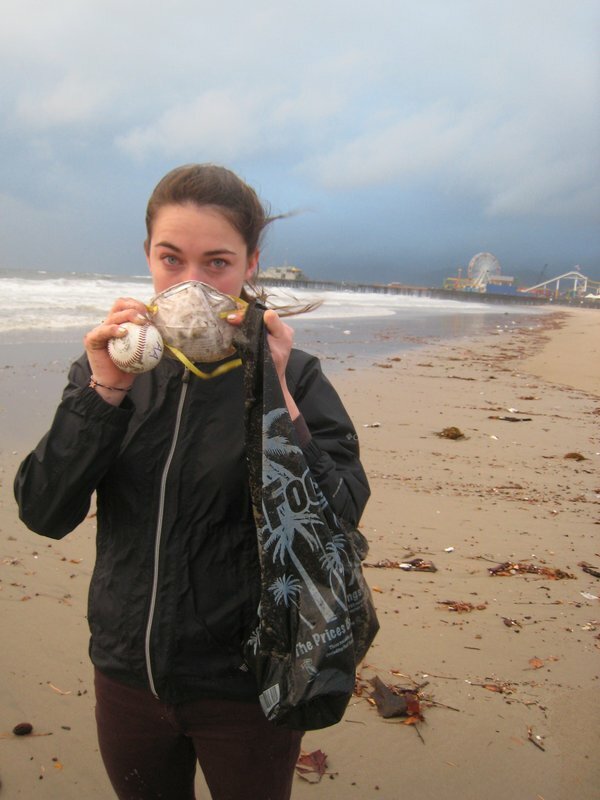 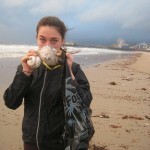 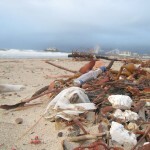 This provided a better understanding of the wide scope and connections between plastic pollution, burning fossil fuels, carbon increase in the atmosphere, and ocean acidification. 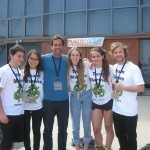 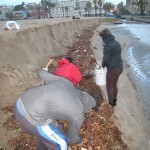 Thank you Ana, the event coordinator, for giving us this opportunity to eco-educate and eco-activate the people. 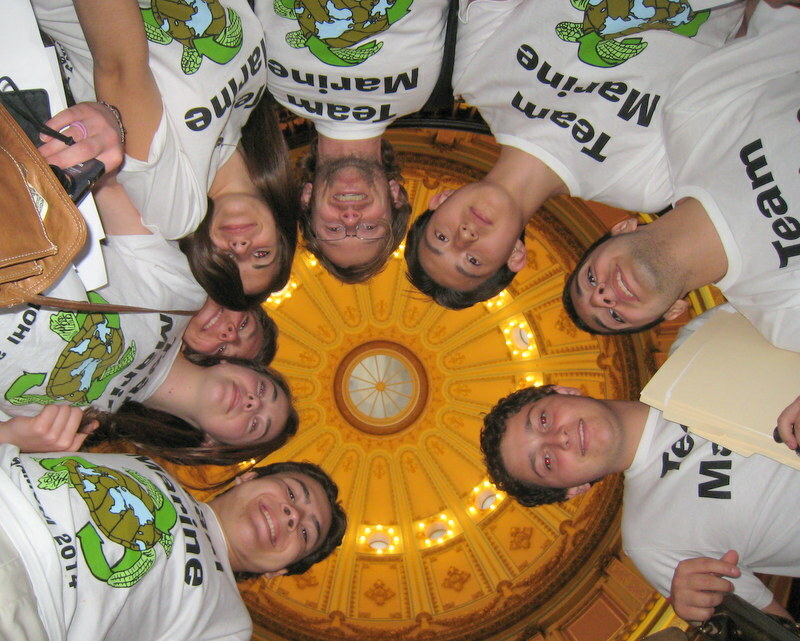 On Friday January 24th, Team Marine members called key California State Senators to advocate for a state wide plastic bag ban. 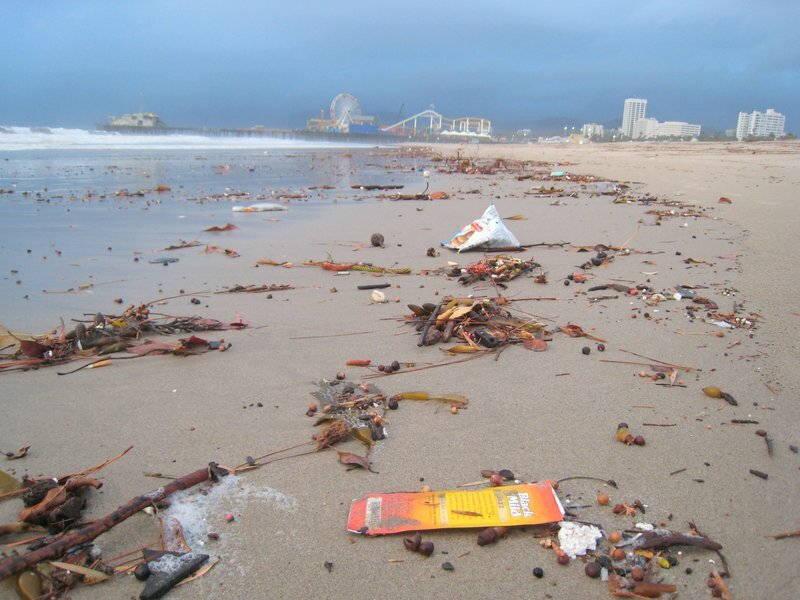 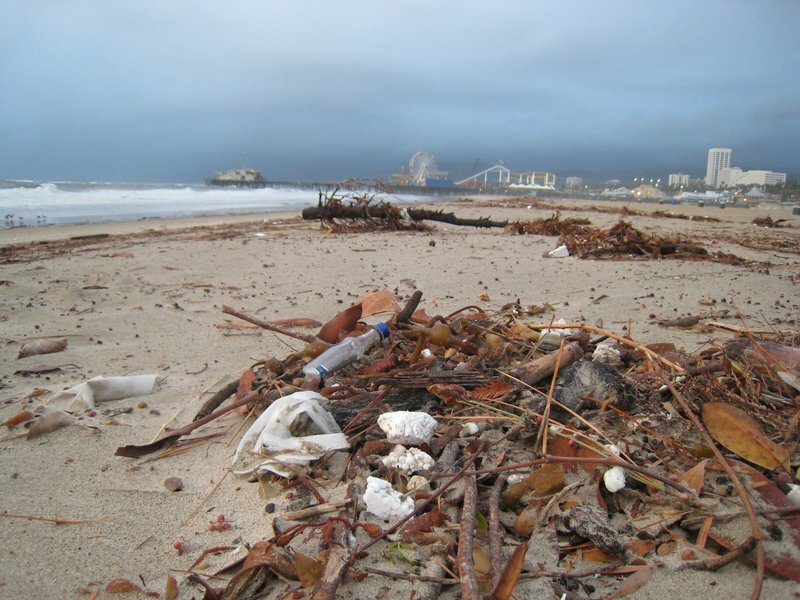 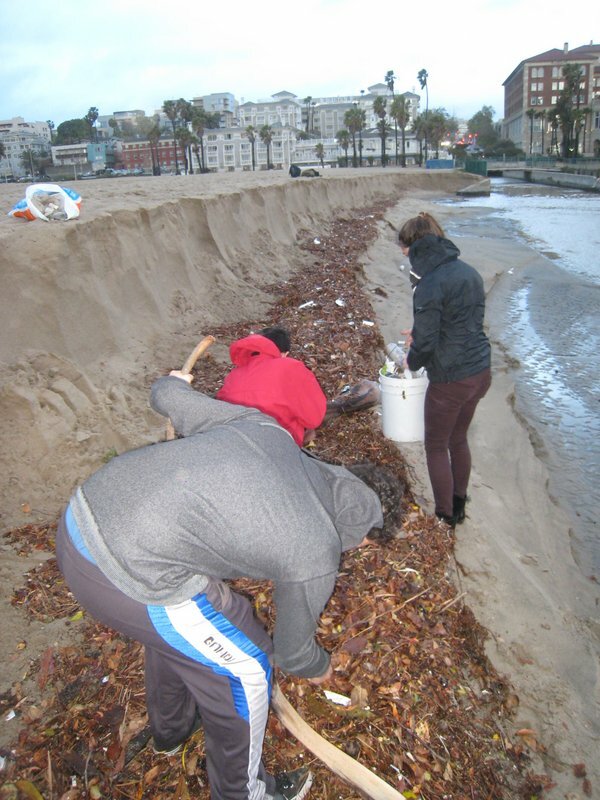 We encouraged senators to vote yes on a plastic bag ban bill SB 405 using our previous research on the Santa Monica plastic bag ban, the effects of plastic pollution on marine life, and the economic benefits of a plastic bag ban. 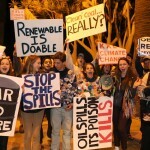 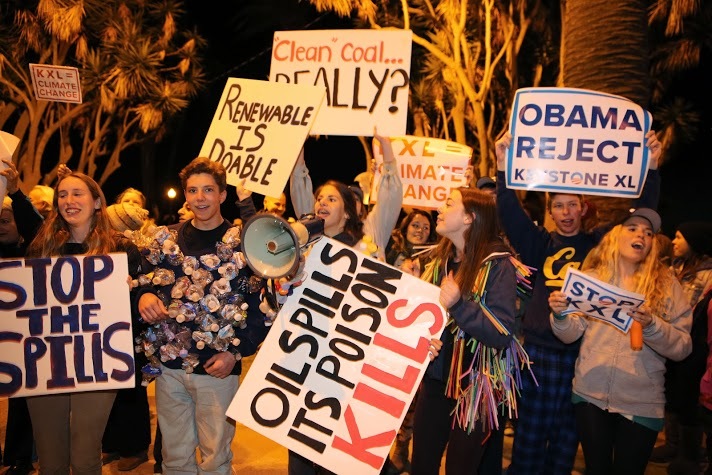 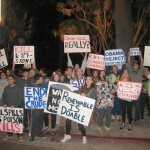 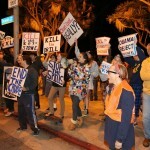 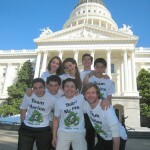 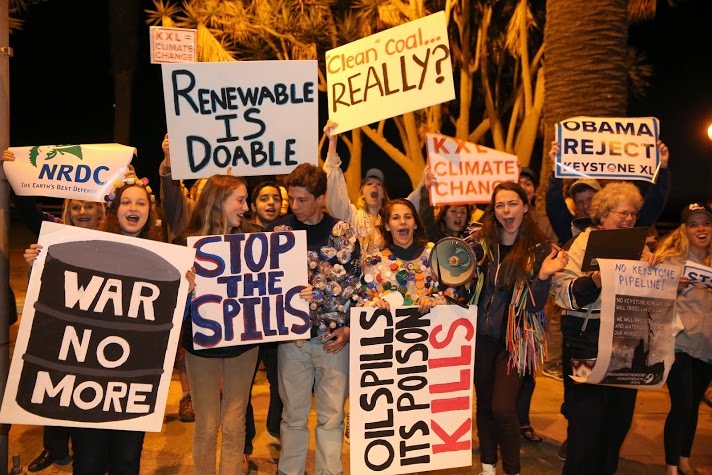 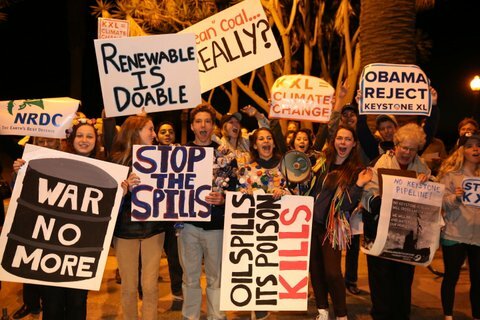 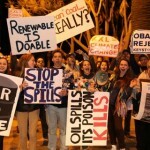 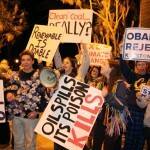 It is important for the senators to realize that the youth of California are in favor of this ban. 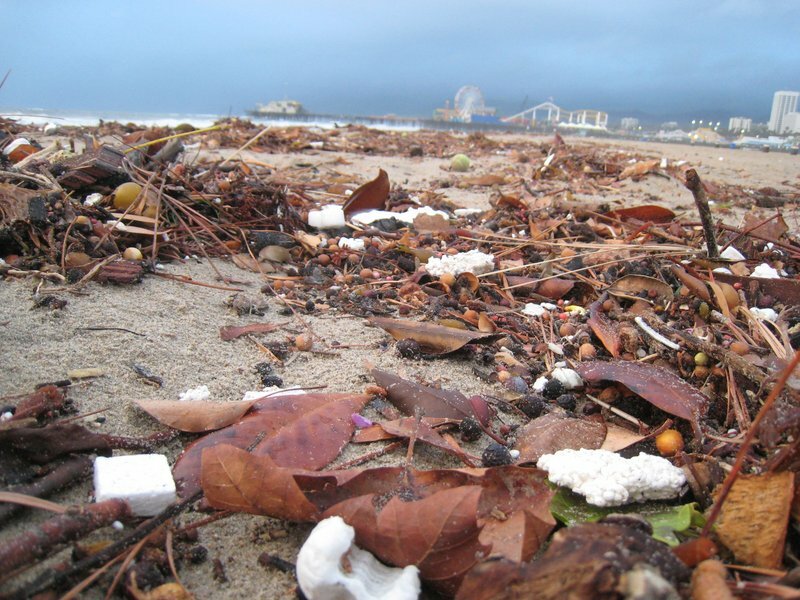 Ninety cities and counties in California have previously banned plastic bags, but this statewide ban is an amazing step in the prevention of plastic pollution entering our oceans. 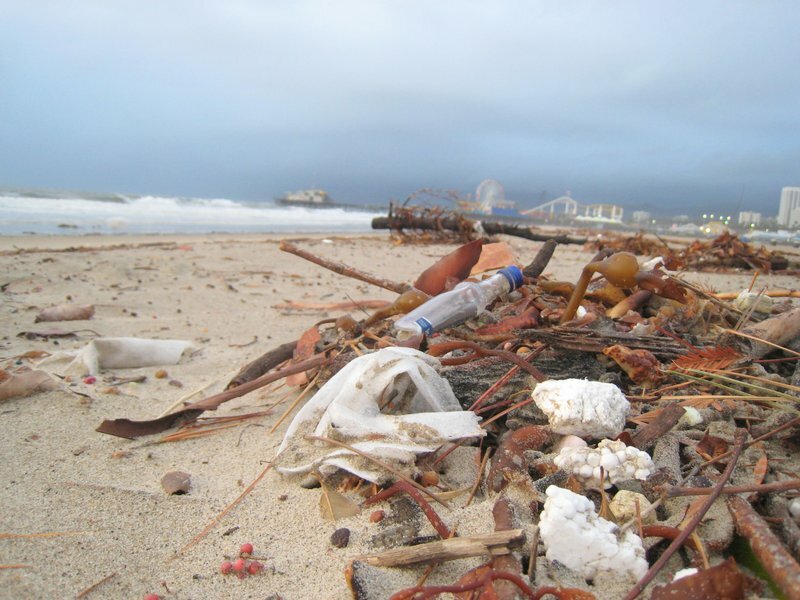 The ban, which has previously failed to pass, is a bipartisan bill that will ban single use plastic bags in the state of California. 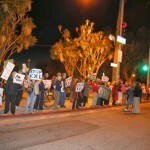 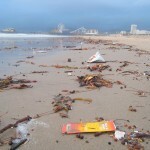 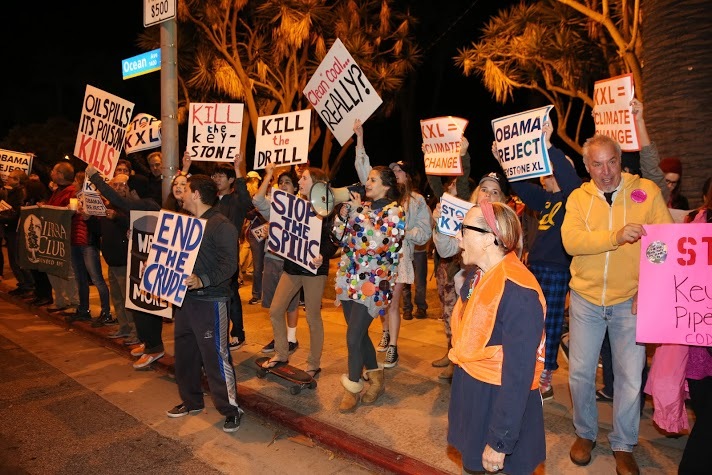 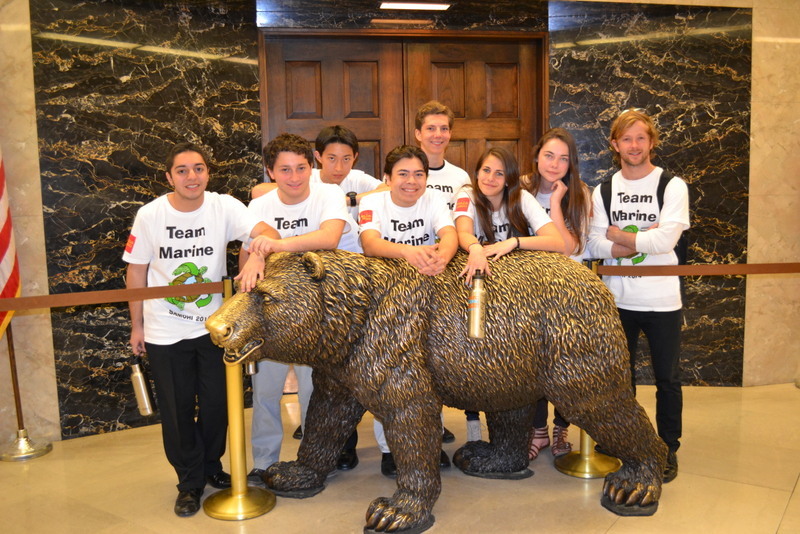 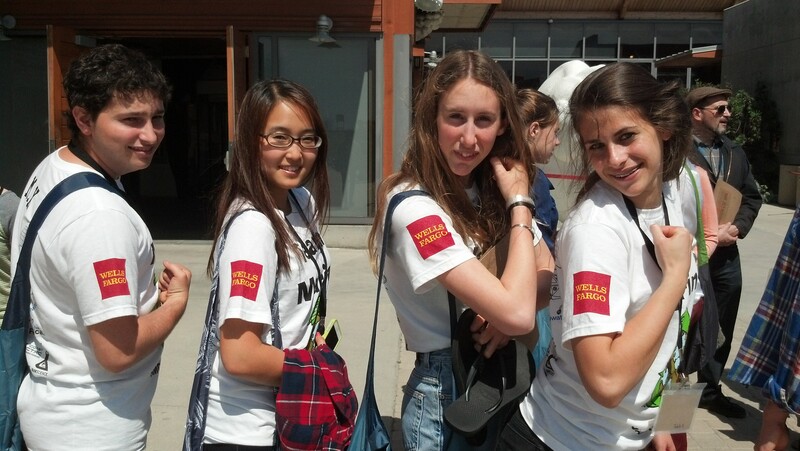 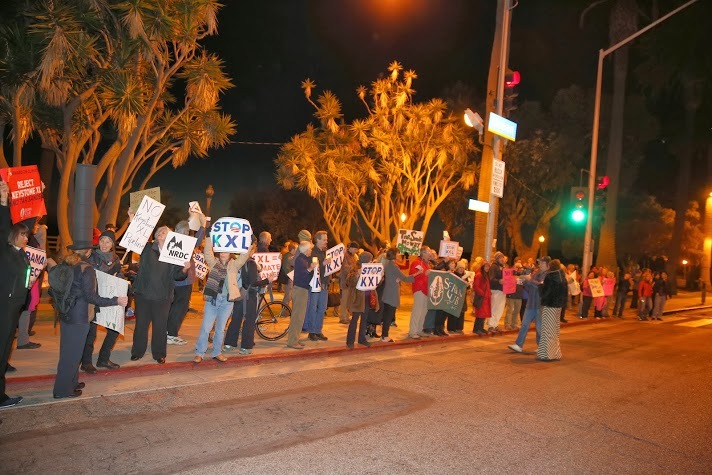 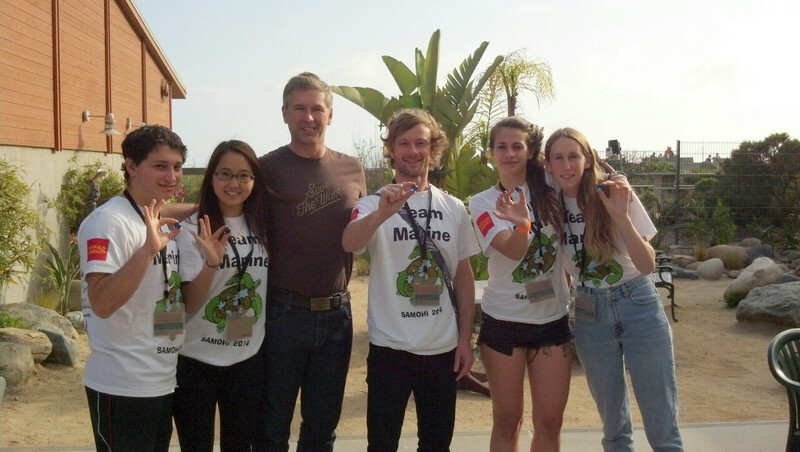 Team Marine advocated not only for this ban, but for bans in Santa Monica and Los Angeles County as well. 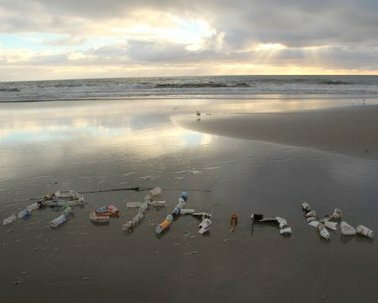 This plastic bag ban is a step in the right direction towards a more sustainable future. 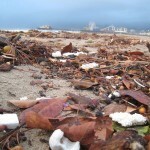 Many cities across California are now banning the use of “single use carryout plastic bags” due to various environmental, economic, and health concerns. 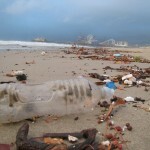 Plastic bag manufacturers are now pursuing various loopholes and green washing techniques in the bag ban laws as means to continue the use of their environment destroying chemically derived plastic bags. 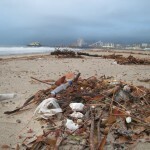 One example of this is in the Los Angeles County Bag Ban. Specific wording in the law defines “reusable” bags as being over 2.25 millimeters thick and capable of enduring at least 125 uses including withholding 22 pounds over a distance of 175 feet each use. 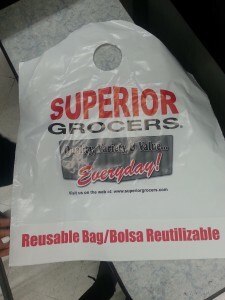 While it is yet unclear whether these “reusable” plastic bags can withstand those conditions, most stores in the city of Los Angeles have satisfied the “single use plastic carryout bag ban” by providing their customers with these so called “reusable” bags. 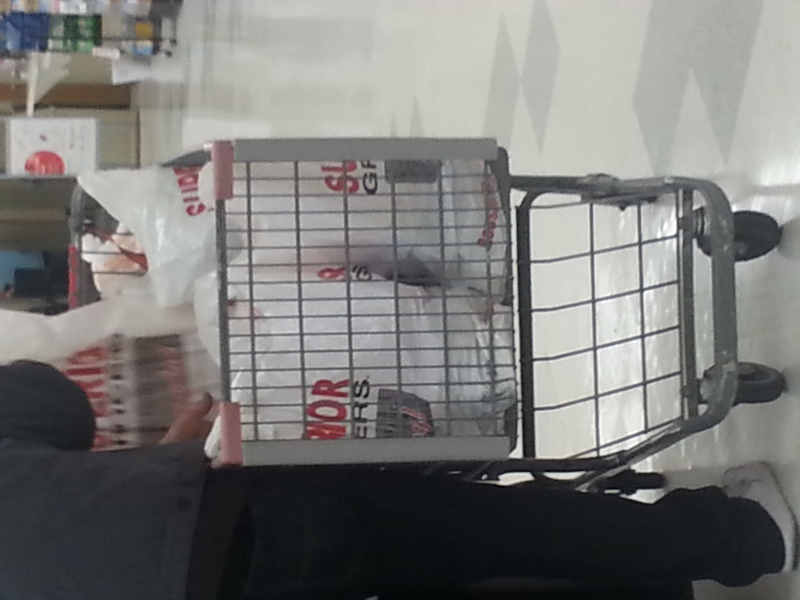 These range from anywhere between free to 15 cents. 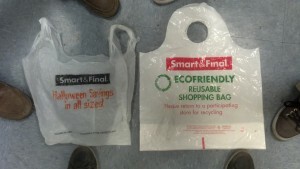 We realized that they most commonly sold for 10 cents each, putting them on par with the paper bags that were supposed to replace them, however, due to the wording in the law, which was intended to assist people in making them more environmentally minded, allows stores to provide customers with reusable bags for free. 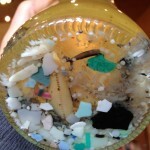 This was added in as a measure to try and assist, but it is now backfiring as the plastics industry and stores are now taking advantage of this loophole. 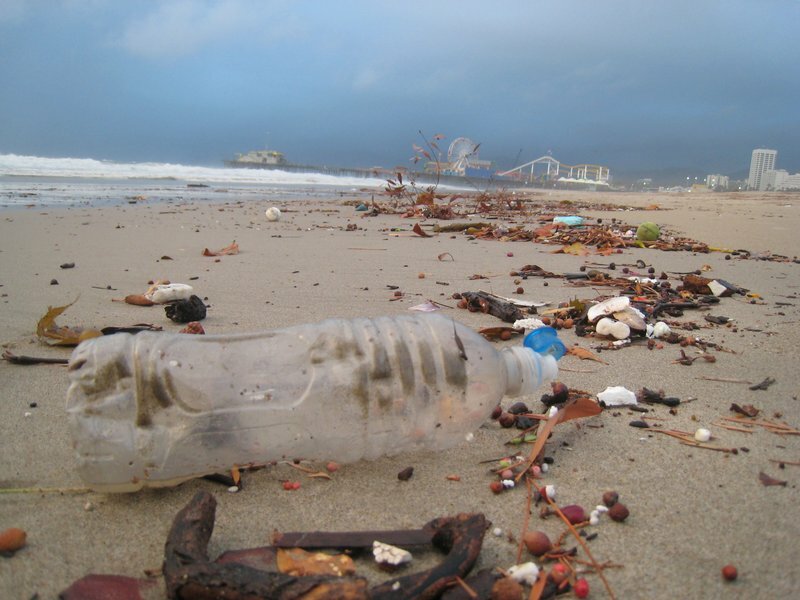 Now instead of removing plastic bags, we have adapted to thicker plastic bags, which might be able to endure more uses but have even greater environmental consequences than the notorious thin, flimsy single use plastic bags. 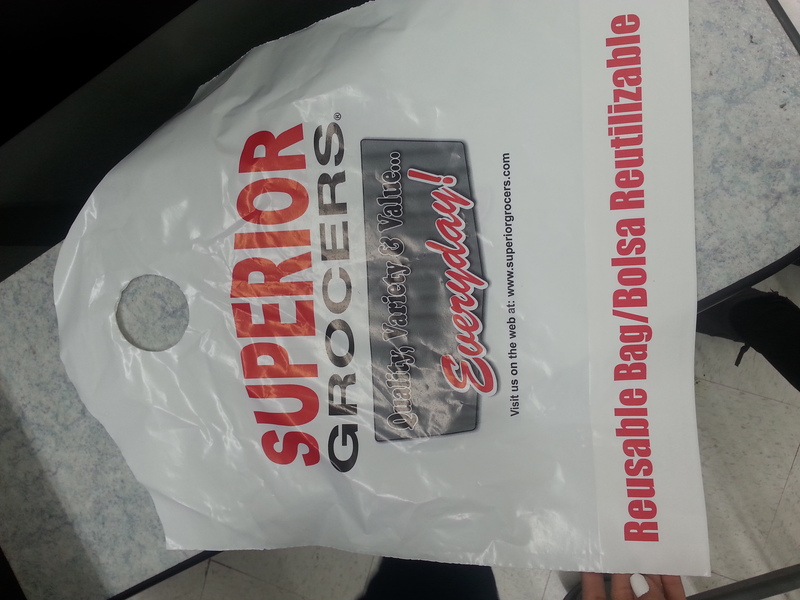 These bags are not “eco-friendly” as the plastic companies are making them out to be. 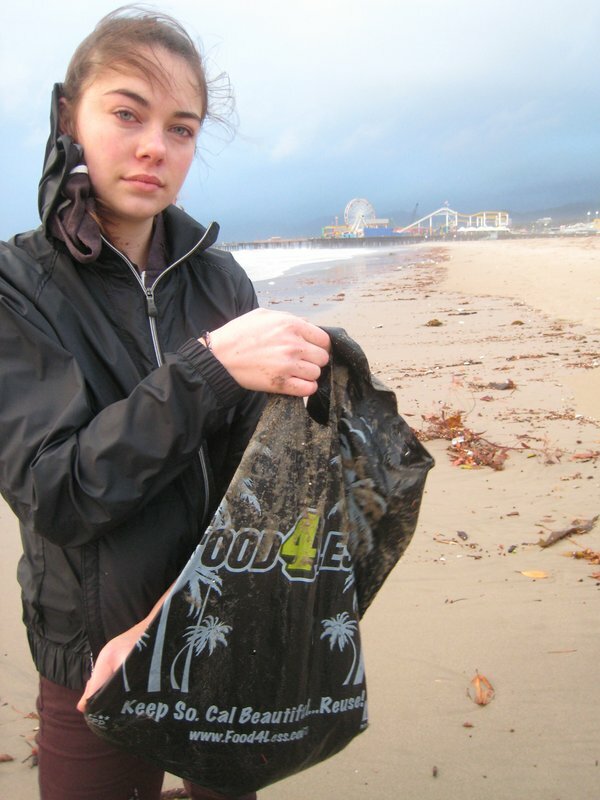 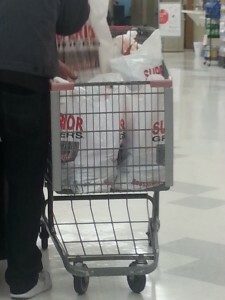 These bags are just as harmful if not even worse on our environment and marine life. 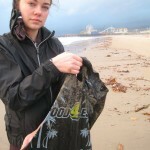 We are trying to advocate grocery store shoppers to always bring cloth, canvas, or other durable reusable bags and refuse the “eco-friendly” thicker plastic and also urge the city to close this loophole.